 "About Us," Plasma Physics Research Center, http://pprc.srbiau.ac.ir. "Major Breakthrough in Iran's N. Technology," FARS News Agency, 16 June 2010. Warren Hoge, "Iran Was Blocked from Buying Nuclear Materials at Least 75 Times, Group Says," The New York Times, 16 November 2007, www.nytimes.com. 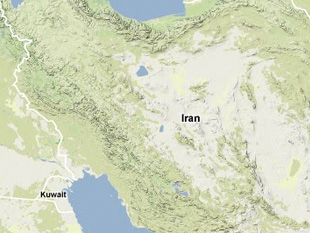 Text of report in English by Iranian conservative news agency Mehr, "Iran joins research team for nuclear fusion project," BBC Monitoring Middle East, 23 July 2012; "Iran Is Working with a New Jersey Company to Develop a Whole Different Nuclear Program," Business Insider, 30 May 2012.